1) Who is your oldest friend/ how did you meet? My oldest friend is Adora Williams. We met in second grade and have been best friends ever since. We don't live close to each other anymore, but our friendship hasn't changed no matter the distance. 2) Tell us about circle of support. Who are your people? My people are my Husband, my son, my dad, my brother, my neighbor who seems just like a second mom to me, my 4 best friends ( Yes, I have more than one best friend) and a lady from my church who has always always been there for me since I was a little girl. 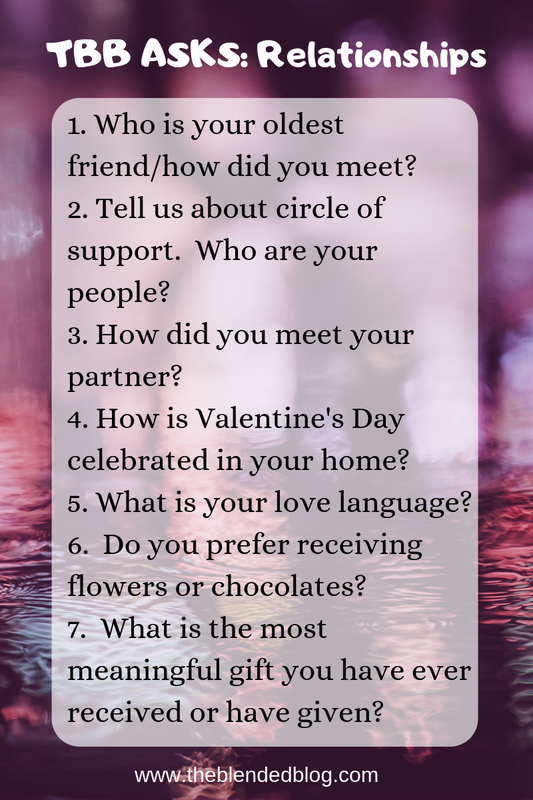 3) How did you meet your partner? I met Justin when we were both young kids. He lived close to my aunt and was best friends with my first cousin. My parents also was friends with his Grandparents. 4) How is Valentine's Day celebrated in your home? We both prefer a low key Valentine's Day. Occasionally we will go out for dinner, but normally we prefer to get each other a small gift and order Pizza. We usually spend the evening eating Pizza and watching Netflix. 5) What is your love language? My love language is doing small things to show my husband that I love him such as surprising him with sweet love notes, complimenting him or surprising him with some of his favorite things. I also prefer to just spend quality time with him and participating in some of his favorite hobbies with him. 6) Do you prefer receiving flowers or chocolates? I honestly prefer chocolates. Flowers are beautiful, but they don't last. Chocolate always makes this girl happy. 7) What is the most meaningful gift you have ever received or have given? My most favorite gift I have ever been given was when my husband surprised me with a beautiful necklace one year on Valentine's Day. It was like a Plunder Designs Necklace that had a photo of My husband, our son and myself in it. It was so beautiful and so thoughtful. I will always treasure that necklace! Thanks for stopping by! I would love to hear some of your answers!